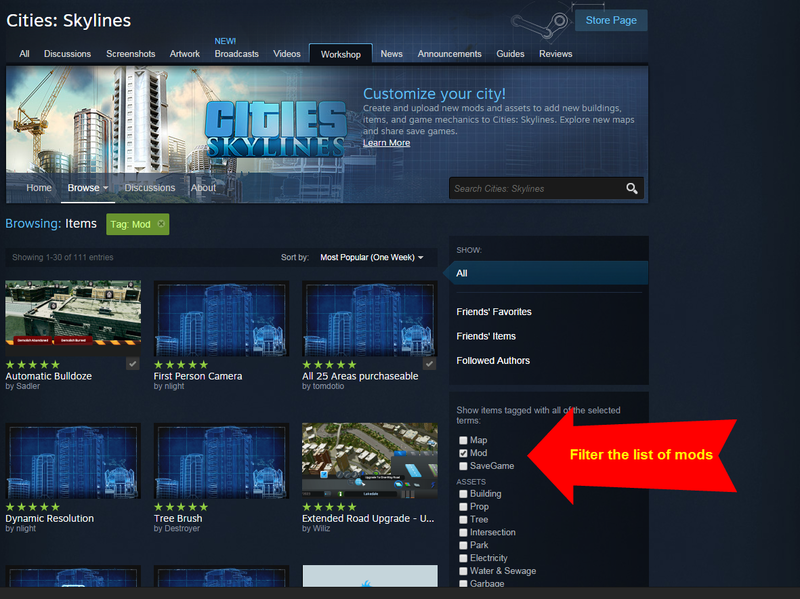 A mod is a small file that will modify your Cities:Skylines game. There are four main types of mods. 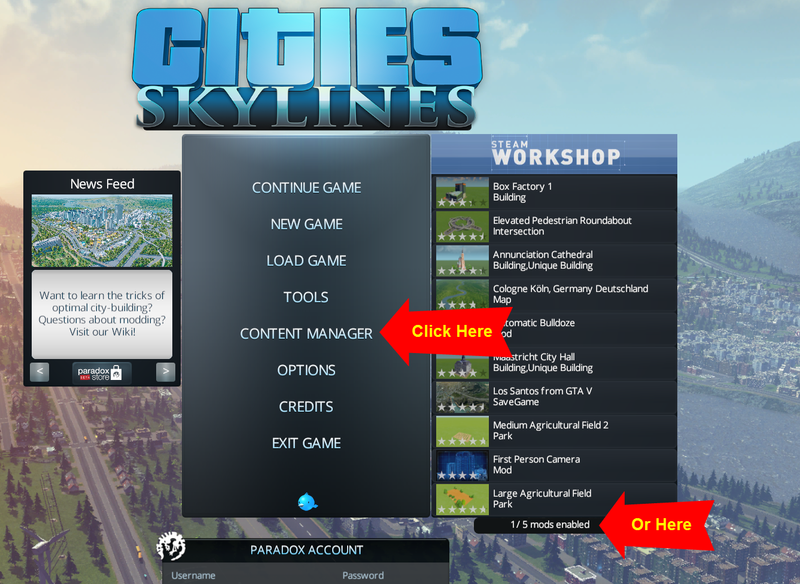 Where do you find mods for Cities:Skylines? 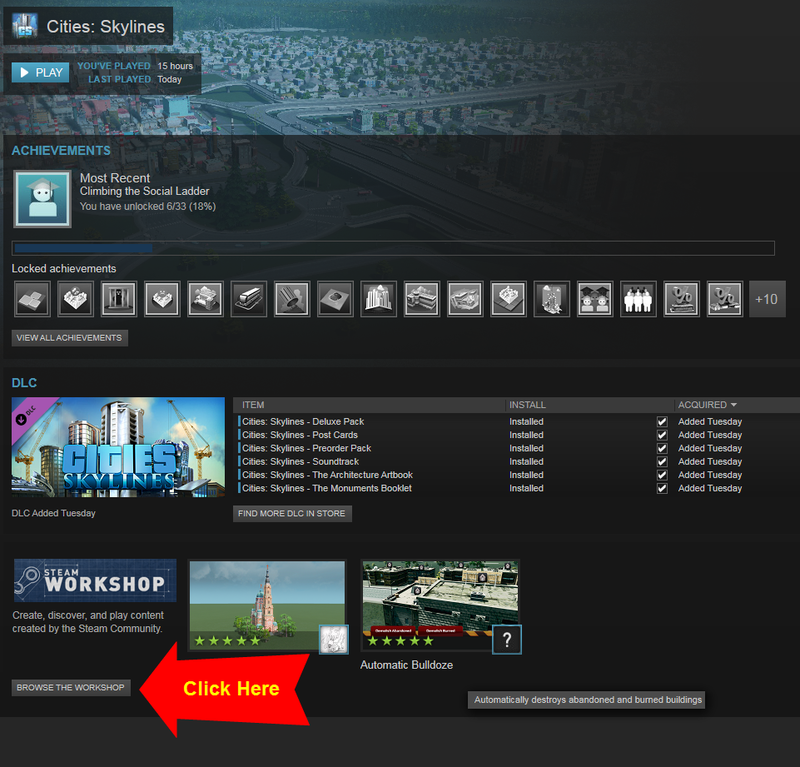 While in Steam, click on "BROWSE THE WORKSHOP"
The workshop has thousands of mods to choose from. You can narrow down your search by selecting a filter on the right side of the screen. You can also use the search bar if you know what you're looking for. 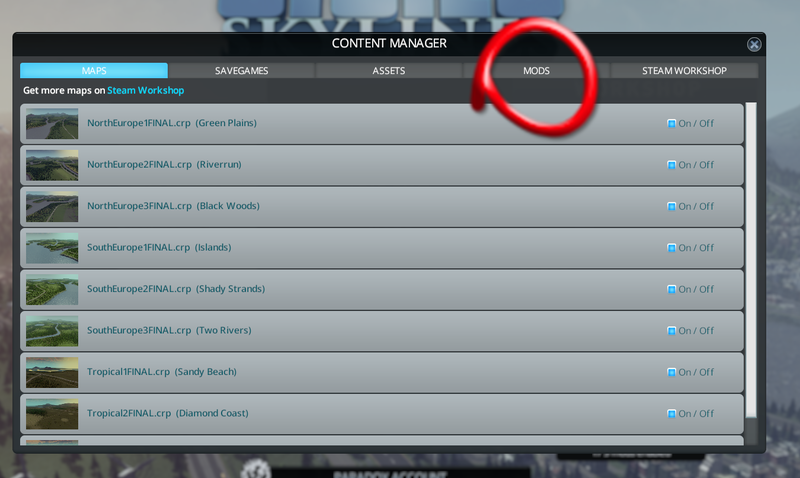 If you find a mod you'd like to use, click on "Subscribe". 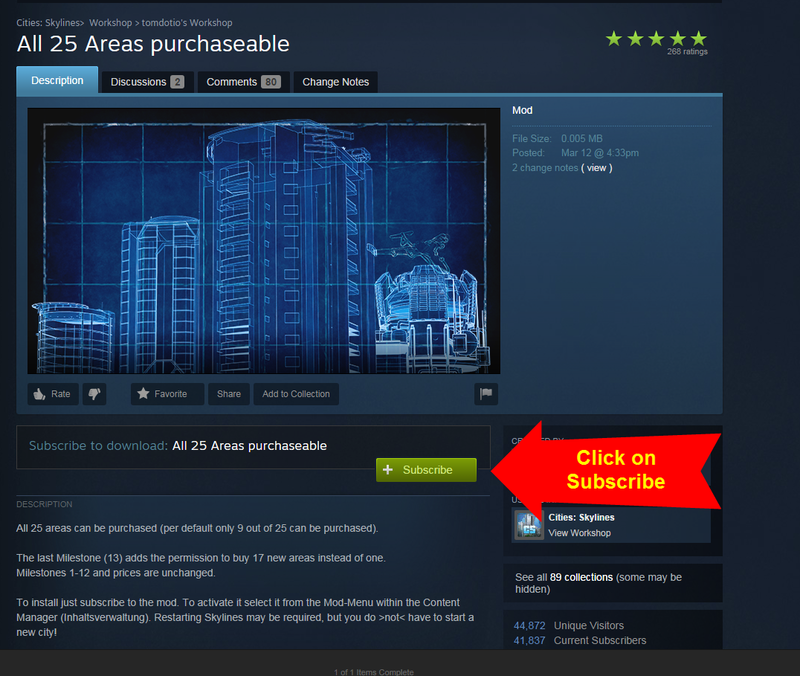 In this case, I'm subscribing to the mod that allows you to unlock all 25 areas in Cities:Skylines. Normally, you can only unlock a total of nine. How do you enable the mods after subscribing to it? 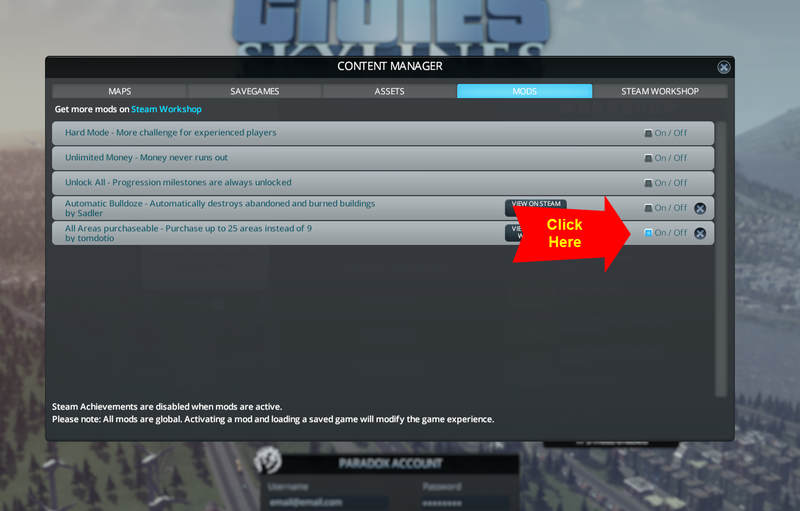 From the main menu, click on "Content Manager" or the message below the Steam Workshop list. Depending on what type of content you subscribed to, it will be found under a different tab. In this example, it's a mod. Select the "On/Off" button to turn it on. It should glow blue when it's selected. That's it! Your mod is now enabled. It should take effect next time you enter a city.